The Future is near! With less than a year to go for the completion of the Future Youth Zone in Barking & Dagenham, excitement is all around and our Young People’s Development Group have worked hard over the last couple of years to see this dream transform into a reality. 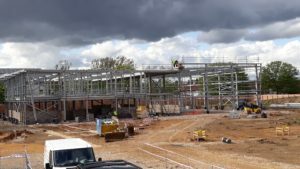 Building work on site began in January 2018 and so far, the site is looking incredible! Who are the Young People’s Development Group? Meet the development group, the brains behind the name, branding and awesomeness that will become the First OnSide Youth Zone to open in London. The development group had the responsibility of naming the youth zone as well as helping to shape the exterior and interior designs of the Youth Zone. It has been a busy year for the Youth Zone with lots happening, there are still plenty opportunities to get involved in the Youth Zone before it opens. Young People will get the chance to promote Future, get involved in community fundraising, visit and meet other members of existing Youth Zones. 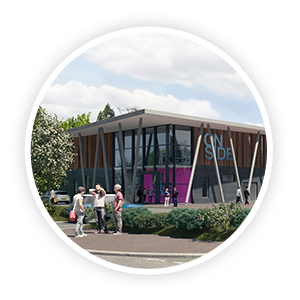 To find out more about the existing OnSide Youth Zones, click here. OnSide gives young people a platform to stand on and take initiative and so therefore, we are always open for groups of young people to visit the network of existing Youth Zones. So, if this sounds like something you would be interested in, why not get it touch! 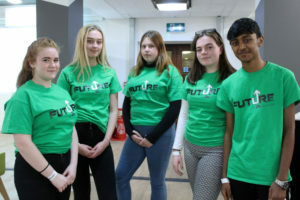 I’ve enjoyed being a part of the Future Development Group, as it has given me so many opportunities for example going to Lee Valley to experience White Water Rafting which built my confidence within myself and for that I am very grateful!